For well over half of a century, wave-riders from around the world have landed on "The Rock," keen to test their mettle against the Pacific and to participate in one of surfing's most time-honored traditions - Winter on the North Shore of Oahu. From Haleiwa, to Pipeline, to Sunset Beach, the Seven Mile Miracle has defined generations of champions. 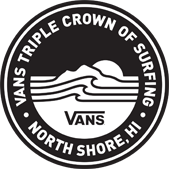 This month that tradition continues with the Vans Triple Crown of Surfing beginning on November 12th. The three jewels of the Triple Crown consist of the Hawaiian Pro at Halewia, the Vans World Cup at Sunset Beach and culminates with the Billabong Pipe Masters. The longest running contest series in surfing, the Triple Crown's inception goes back 36 years to 1983. Both the Hawaiian Pro and the World Cup of surfing are the final two QS 10,000 contests on the 2018 schedule, and are hugely important for surfers looking to qualify for the 2019 Championship Tour. Pipeline, the home of final CT contest of the season, will decide this year's World Champ between World No. 1 Gabriel Medina and Filipe Toledo and Julian Wilson, who are currently tied in the No. 2 spot. "Kids grow up wanting to be a Vans Triple Crown champion. Pipe is an incredible event, but winning at those other venues is every bit as important," explained 2000 World Champion Sunny Garcia. With six titles to his credit, the Hawaiian is the winningest surfer in the history of the Triple Crown, and the first person to win three consecutive titles ('92, '93, '94). "The majority of professional surfers on tour will tell you that winning an event in Hawaii makes or breaks you," continued Garcia. "You need to be a pretty damn good big wave rider to win the Triple Crown. You don't necessarily have to be a good big wave surfer to win a world title. This is what elevates it to the next realm. You will rarely get through all three Vans Triple Crown events without being pushed to your absolute limit at least once with an ‘oh my god what am I doing out here' moment." And in surfing, competitive or otherwise, it's those OMG moments that everyone lives for. Whether one fancies themselves a world title contender or just a barrel hound, the North Shore in the winter is the place to be. Drop in on the Hawaiian surfing event series, the most intense on the planet. "Hawaii has always been the ultimate proving ground for a surfer and the Triple Crown is the summation of a true test of a surfer's abilities in the most challenging waves in the world," told Shaun Tomson, a pioneer and leader during the Bustin' Down The Door era. During the time of the Triple Crown, every single World Champ has either won a Triple Crown contest or the Triple Crown title (except Damien Hardman). Toledo is the defending champ at the Hawaiian Pro, Medina won the Triple Crown in 2015 and Wilson won it in 2014. Wilson is also a Pipe Masters champ. All of them are coming into this season with legitimate Triple Crown bonafides. There's no shortage of intrigue percolating at the 2018 Triple Crown. A world title hangs in the balance and a whole slew of rising talent will be looking to capitalize on the final two QS 10,000 contests of the season to solidify their spot on the 2019 Championship Tour. Then there's always the potential for a classic surfing Cinderella story. Take last year, when a young Griffin Colapinto came into the Triple Crown in firm control of the QS ratings but untested in Hawaiian waters. 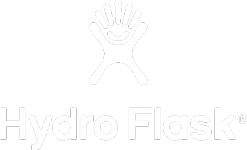 By the time the three contests were over, not only had he cemented his CT plans for 2018 but also proved himself worthy in the most trying conditions by claiming the Triple Crown title. One of the trickiest waves on the North Shore, Haleiwa is as moody as they come. It can be a flawless A-frame, or it can be a paddling marathon just to stay in place amidst the turbulence. 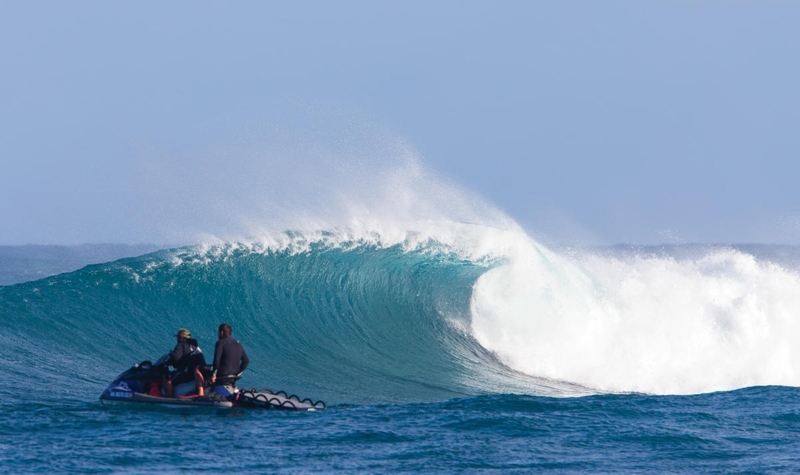 A solid west-northwest swell can set up a long, multi-section right-hander that reels over a shallow slab of volcanic reef. There's also a left that's not as long, but can offer big scoring section. The inside, known as the "Toilet Bowl," can also offer up the opportunity for statement-making maneuvers at the end of a competitor's ride. There's been no shortage of drama to unfold at Haleiwa over the years. In 1991, three-time world champion Tom Curren famously won the contest on a Maurice Cole-shaped reverse vee with no sponsor stickers on it. It was immediately assumed that he was making a rebellious statement shunning the surf industry. In fact, the board had only been sprung from customs the night before and Curren and Cole were scrambling just to make the heat. "So, I give him the board and tell him to get out there. He looks at me, and asks, ‘Got any wax?'" recalled Cole. Before charging Pipe became a thing in the 1970s, Sunset Beach was the star of the North Shore. First surfed in 1939 by Lorrin Harrison, Gene Smith and John Kelly on finless boards, in 1965 the first Duke Kahanamoku Invitational ran at Sunset Beach. A staple of the North Shore contest scene until 1985, it was replaced by the Billabong Pro. Additionally, the Quiksilver Big Wave Invitational in honor of Eddie Aikau started at Sunset Beach in 1984. With its giant playing field, sweeping clean-up sets and ever-present current, Sunset is one of the most challenging breaks in the world. Scoring a good one on the West Peak is an accomplishment in and of itself. "I look forward to the Triple Crown of surfing all year long. To me it's the most prestigious place to compete in the world of surfing," said Conner Coffin last year after winning the contest. "I also love the Triple Crown because of the quality of waves. Typically, we get big, powerful surf and it feels so good to compete in those conditions."  The final QS contest of the 2018 season, it is the last opportunity surfers will have to made a mad dash for valuable ratings points and hopefully graduate to the CT. It's fitting that so many world titles have come down to Pipeline over the years. After decades of surf exploration around the world and the discovery of numerous heavy, barreling waves, Pipe is still the pinnacle. Phil Edwards was the first to surf the break all the way back in 1961, then Butch Van Artsdalen and John Peck got in on the action. But it was Gerry Lopez, aka Mr. Pipeline, and his pal Rory "The Dog" Russell that really took barrel riding performances at the Banzai reef to the next level. Danger is omnipresent at Pipe. The deadliest wave in the world, over the years it has claimed more lives than any other surf spot on the planet. On a proper west swell when the sand has been swept off of the reef the left offers up a big, intense barrel that generally will break into a channel. The right, known as Backdoor, is shallower and more prone to closing out, adding to the sketch factor. "It's tilted perfectly to receive the brunt of any northwest swell that happens to swing though the Pacific," Lopez told the WSL back in 2015. "And that reef at Pipe hasn't changed much in all these years. Anything with a slight west angle is going to create more open, hollow, waves. But as long as it's a clean swell, there's going to be waves and it's going to be an exciting contest." This year, like many before it, the World Title race will come down to who can get the job done at Pipeline.